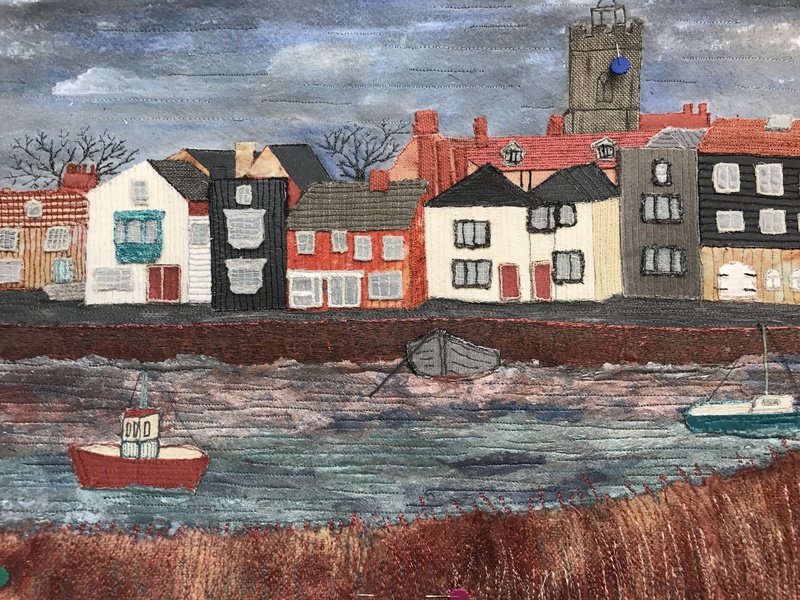 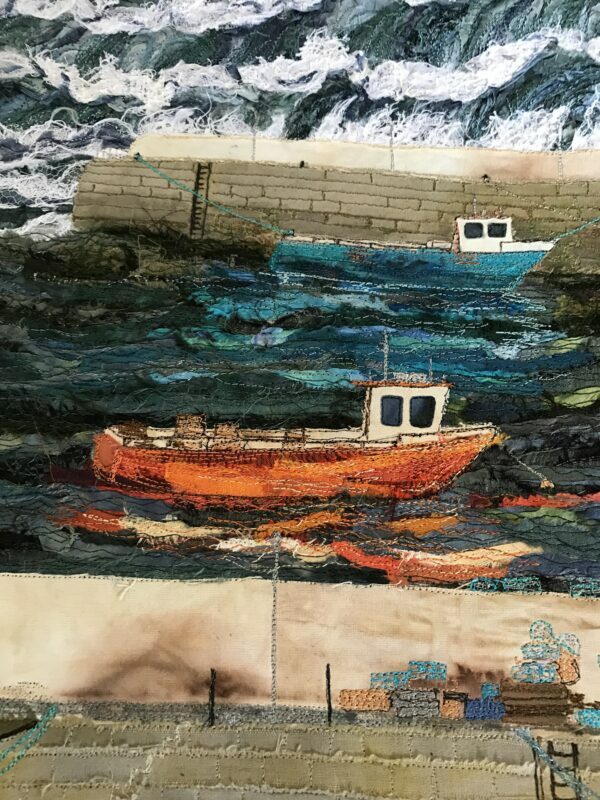 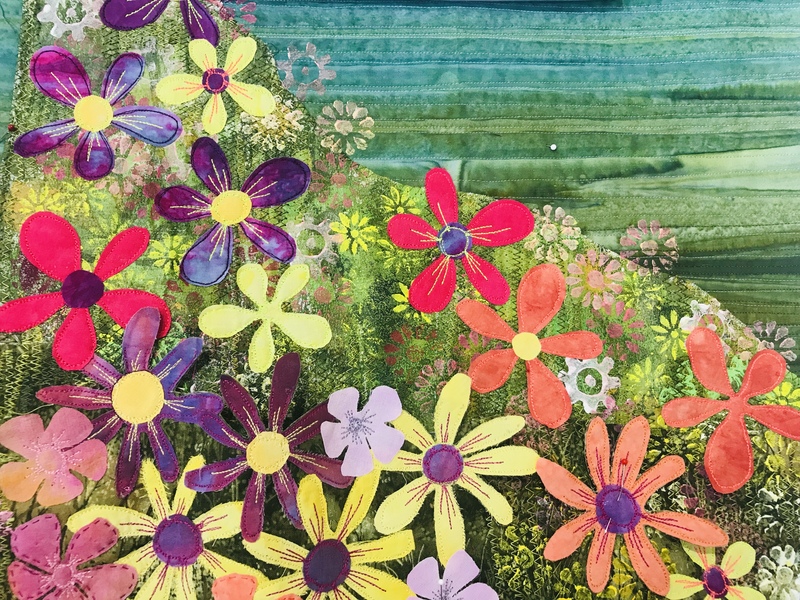 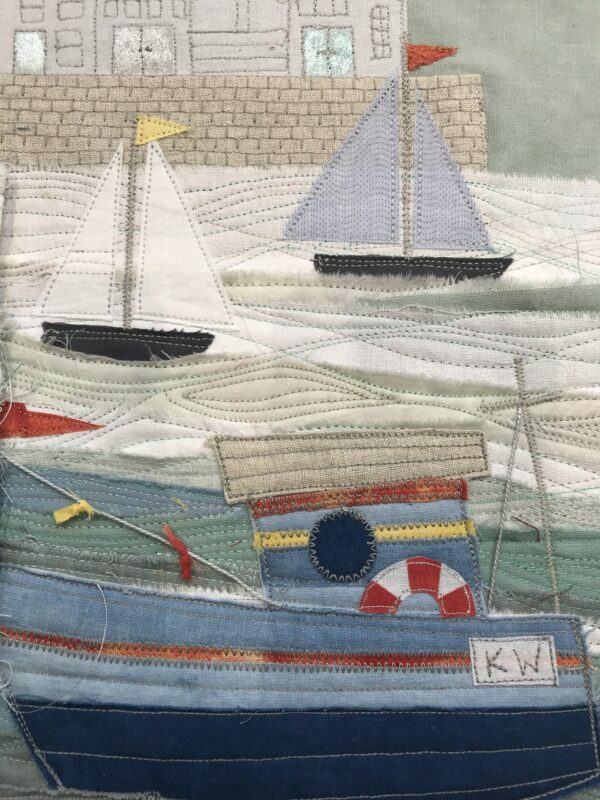 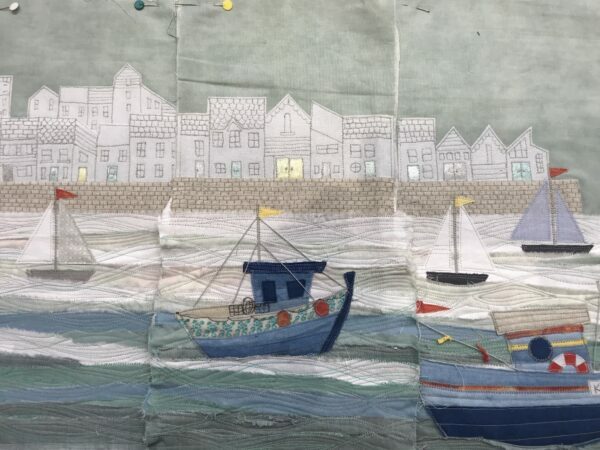 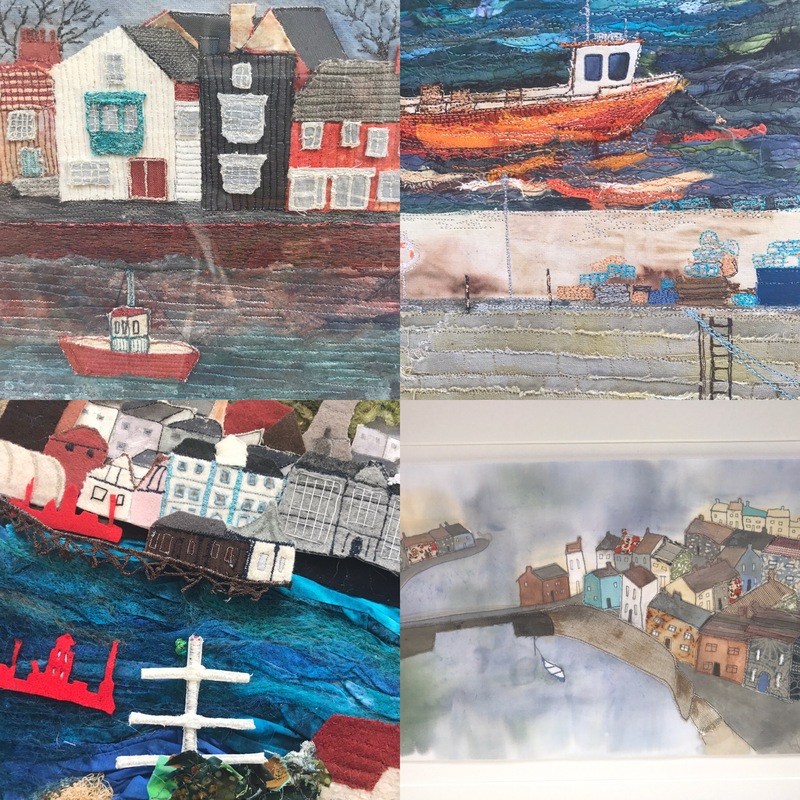 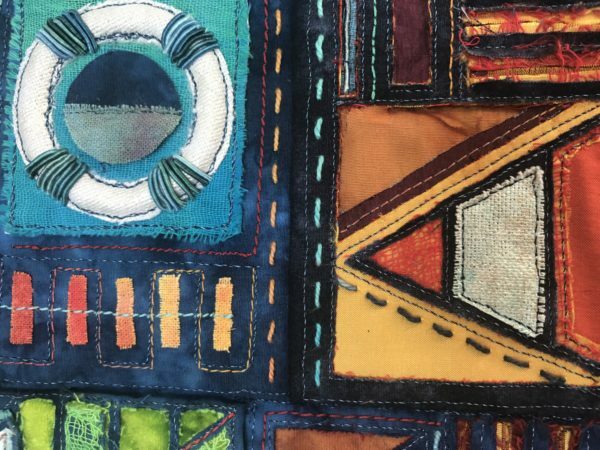 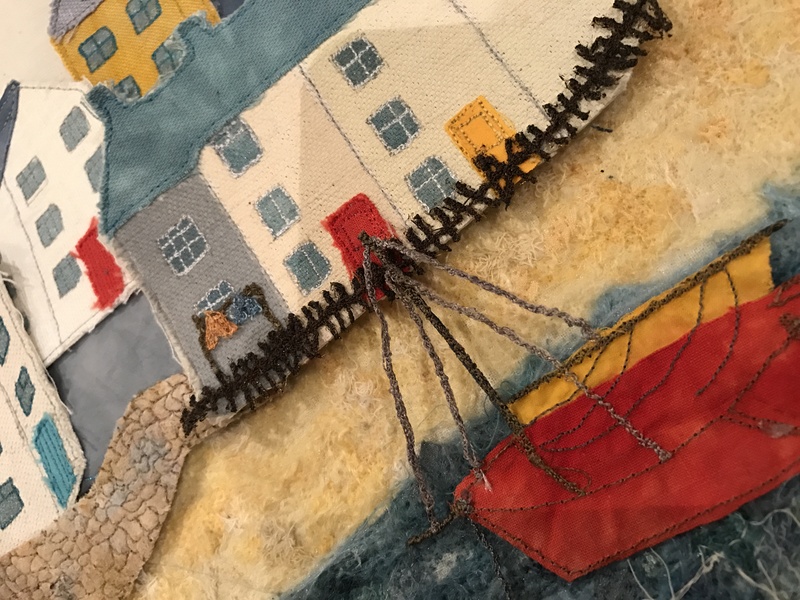 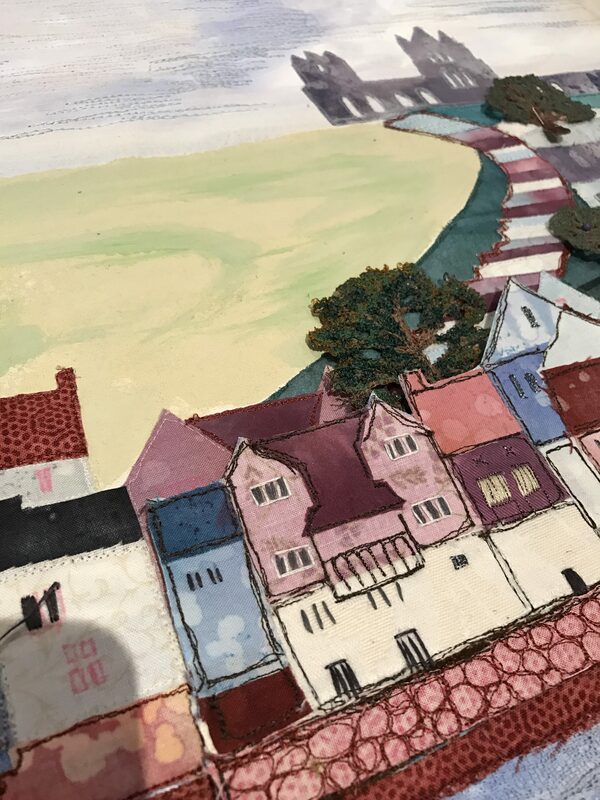 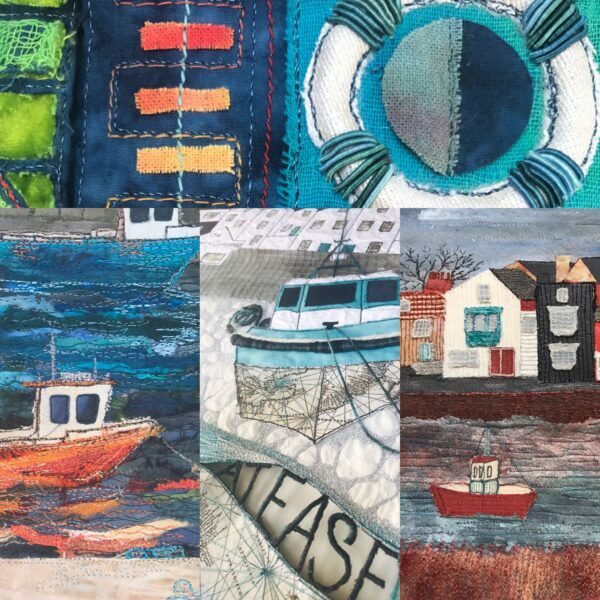 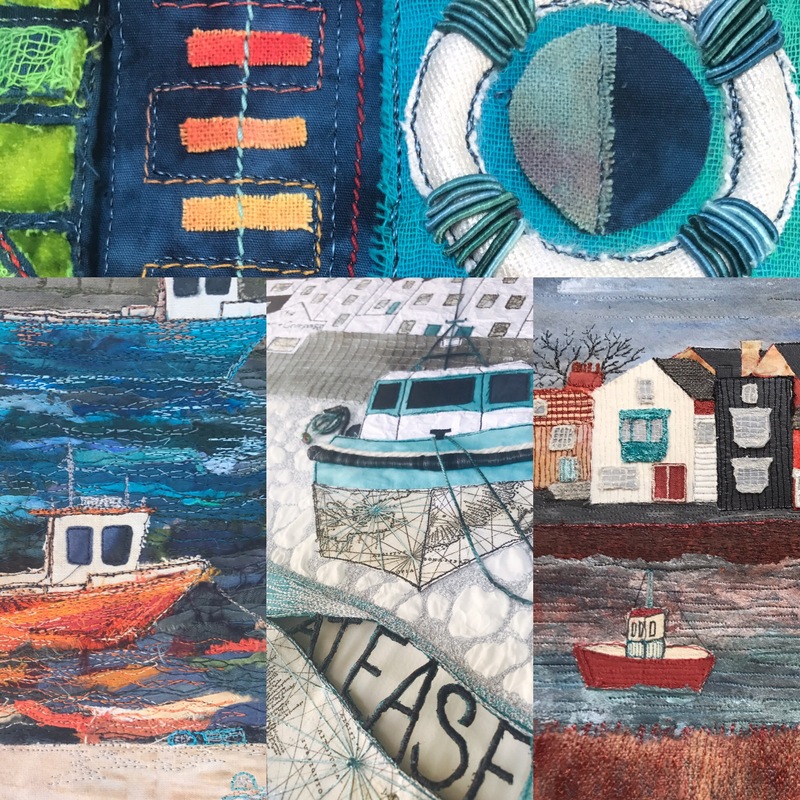 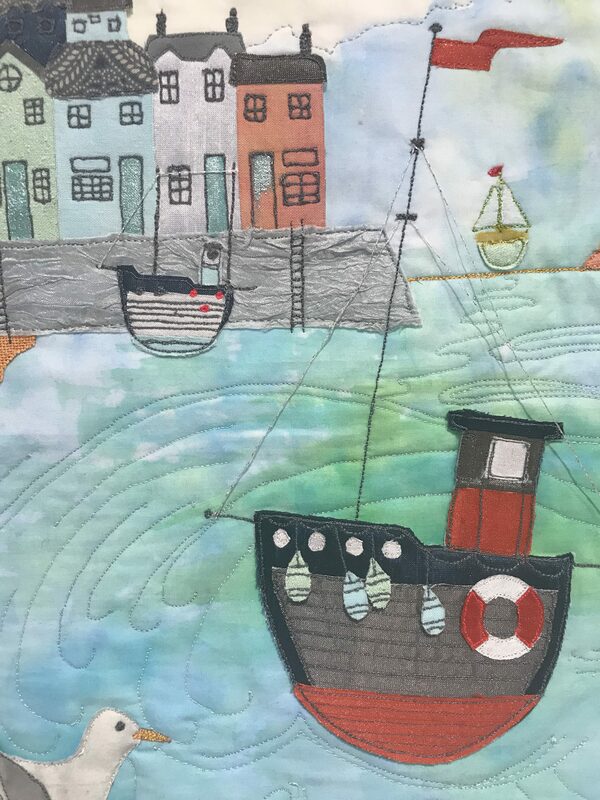 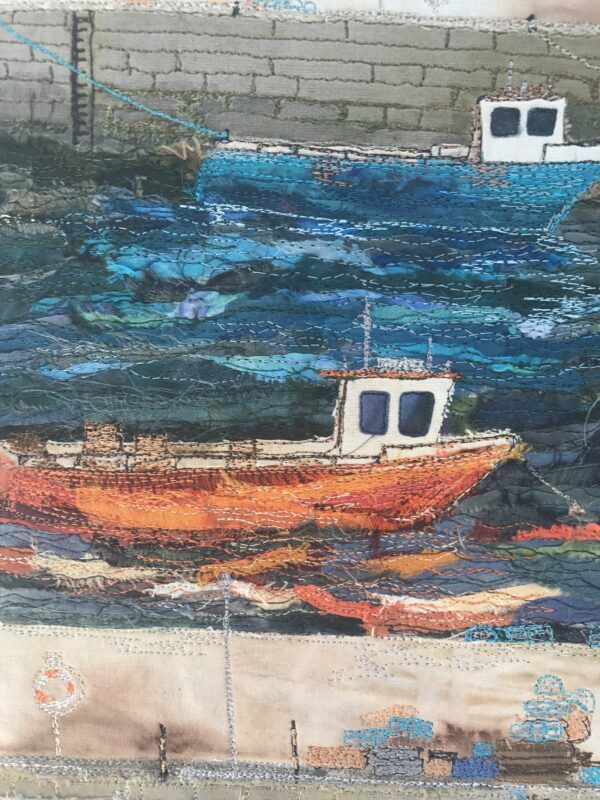 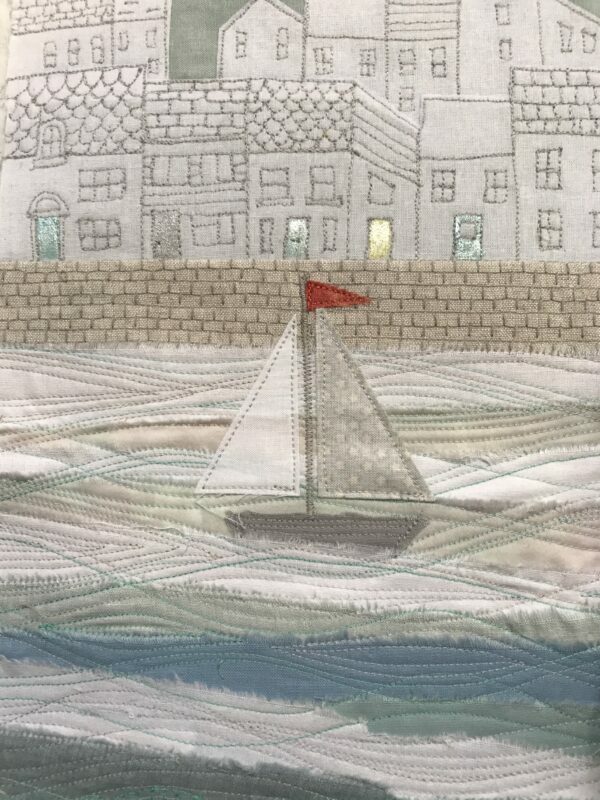 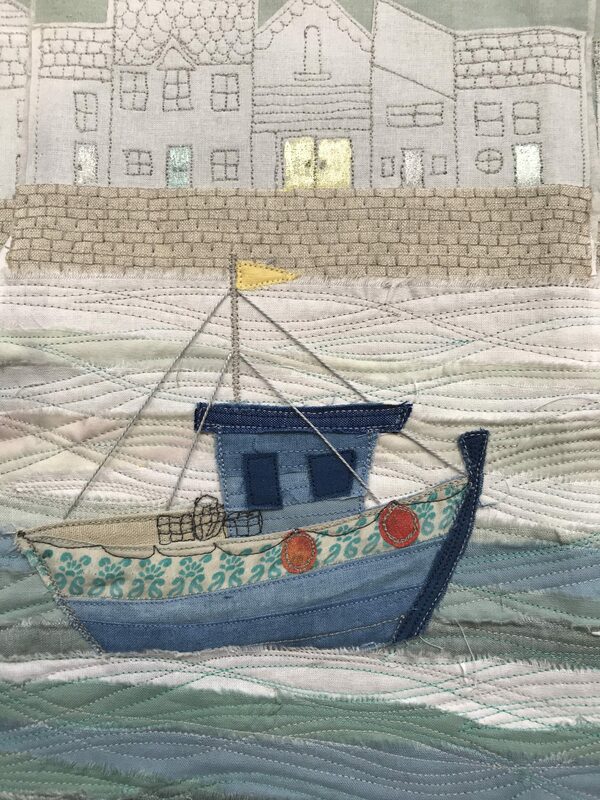 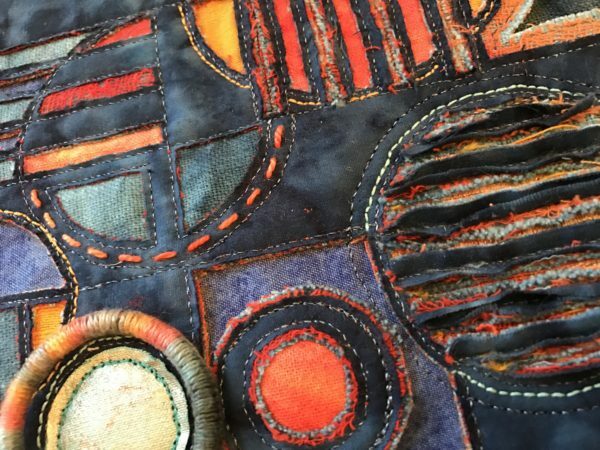 A four day course mentored by Alex Waylett, designing and producing your own original textile harbour scene using raw edge applique, paint and thread painting. 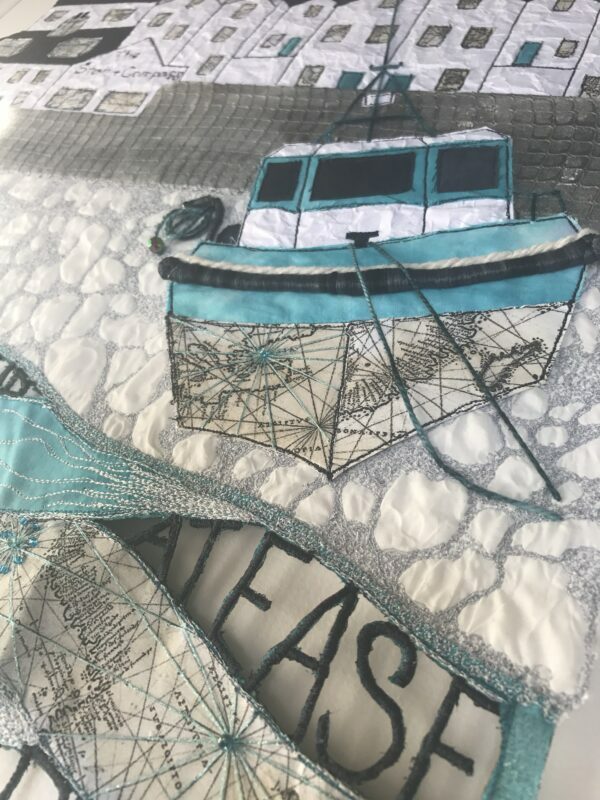 Open to anyone with some exp in free motion embroidery. 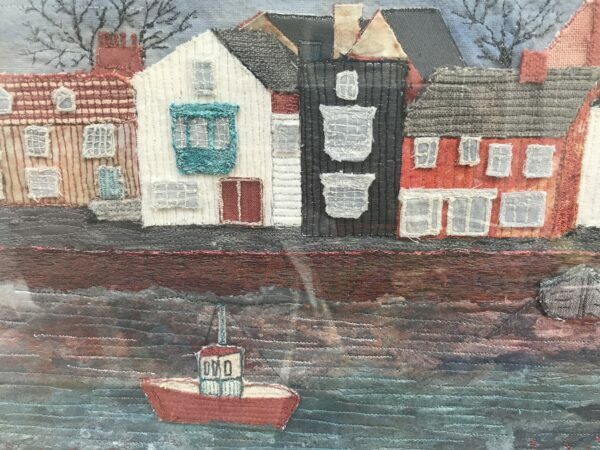 Contact alex prior to course with photographs/ images/ magazine pictures of harbour scenes to chat through suitability. A3 Sketchbook , water colour pencils. 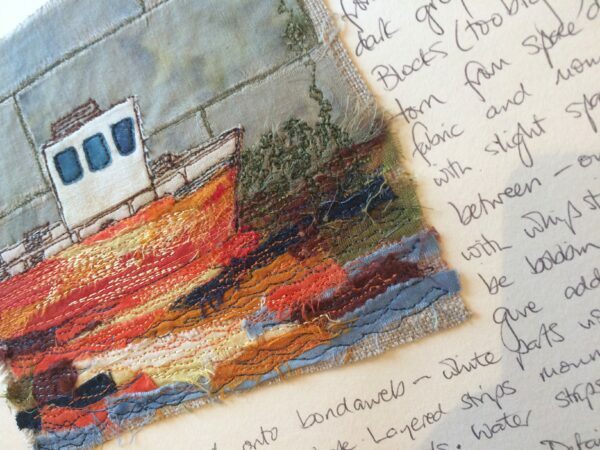 Various fabrics all to be collated once design is complete. Machine embroidery foot and normal presser foot.